Just picked-up the final manual in the trio for Growing Talent. 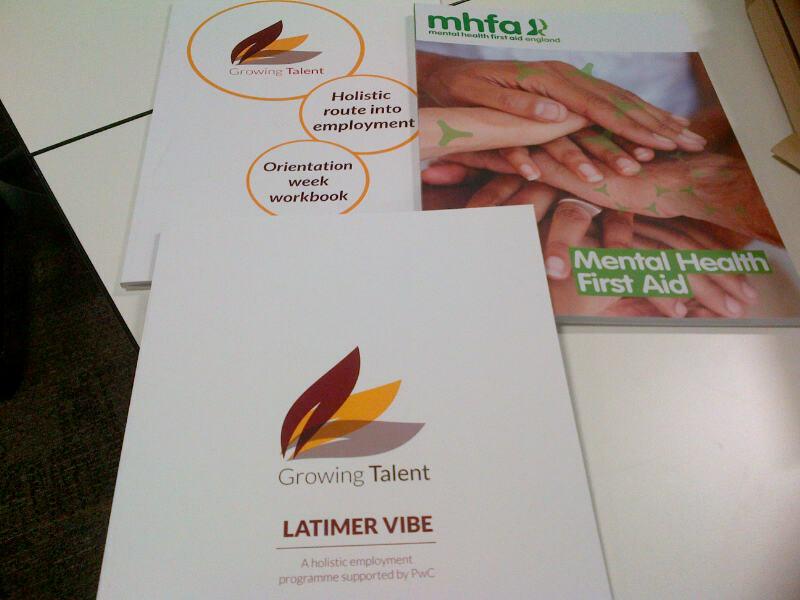 Latimer Vibe is full of key information to ensure onward learning supporting the key points we cover at Latimer House, Chesham. I’m really pleased with the finish and content. This covers personal finance, fitness, nutrition and wellbeing as well as information on housing. It’s been a labour of love over the past few months to get completed in time. So far – really good feedback. Orientation workbook supports the Growing Talent Associates at the start of their journey focusing on communication, assertiveness, body language, personal support, dealing with work situations and so on. MHFA is an amazing manual to complement the two-day Mental Health First Aider course produced by MHFAEngland.org. All Growing Talent Associated undertake this valuable course. I might start a new career as an author!!!!! Previous Growing the interest for Growing Talent!